It's almost been a month since I started homeschooling my daughter, so in celebration I thought I would catch you all up on what we've been doing around the hive! 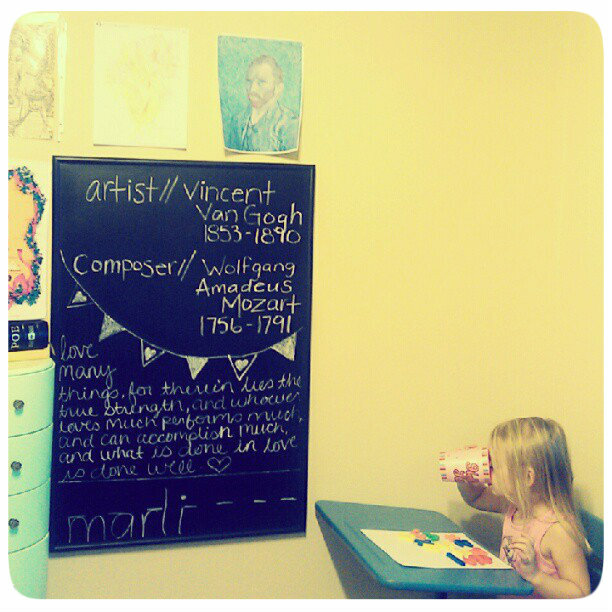 When I first entertained the idea of homeschooling Marli the thought was overwhelming and frightening to say the least. Where do you start when you want to educate your child in the home? What requirements are there? 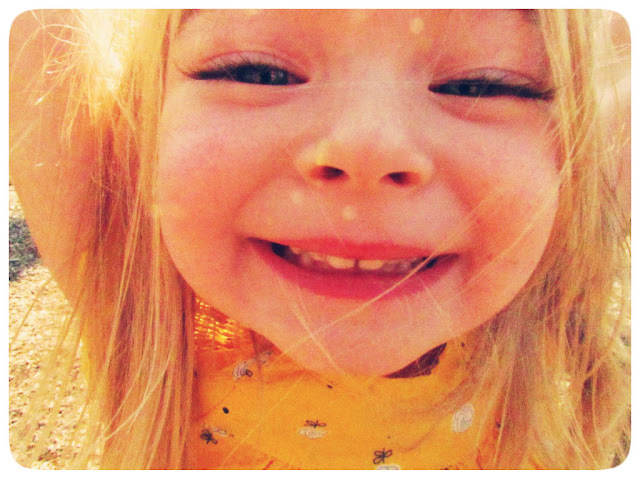 Will my child end up a socially awkward cat lady? Will I ever have time to shower again? After completely freaking myself out, I took a deep breath and dove into the computer researching curriculum, reading education websites, looking on forums to see how many other people actually home school anymore, and what tips and tricks I could use to make this experience easier. I was seriously surprised to see how many younger people do home school their little ones and how many blogged about it. One of the biggest saviors for me was reading other mom's blogs about homeschooling and using their advice. Little House was like the holy grail of homeschooling blogs for me and I learned so much from it! After I felt comfortable in all of my research and notes I slowly laid out a curriculum that was right for my daughter, that fit our schedule, played off of Marli's strengths, and worked on her weaknesses. Then I took on the task of compiling a book list. Marli is only three years old (four in February), she is more advanced than pre-k and not yet ready for kindergarten work. 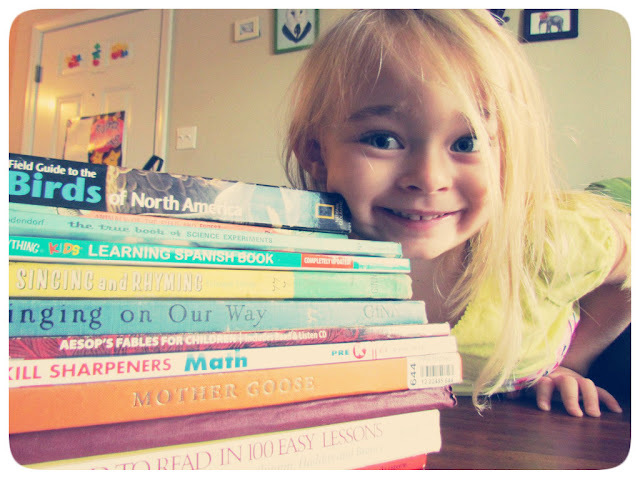 I customized everything to fit her needs and made sure I included books that would push her and improve her skills. 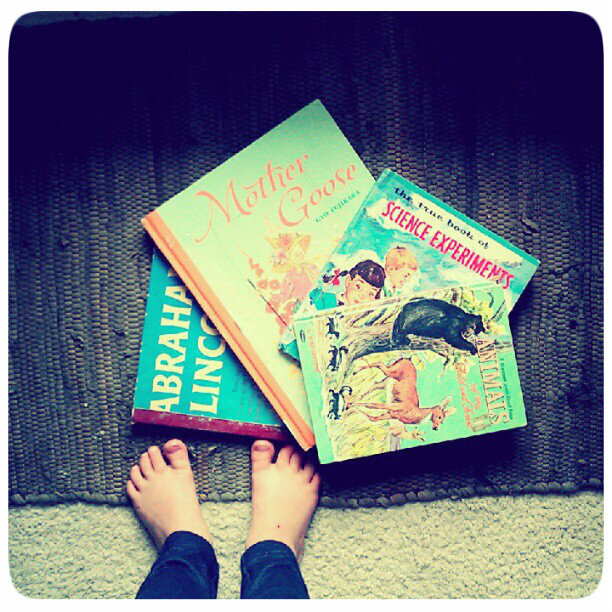 Here are some of the main books that we use in our little learning environment. I use The Charlotte Mason curriculum in our home, I of course tweaked it to fit out beliefs and I en cooperated certain things into the education that my husband and I thought was important to include. 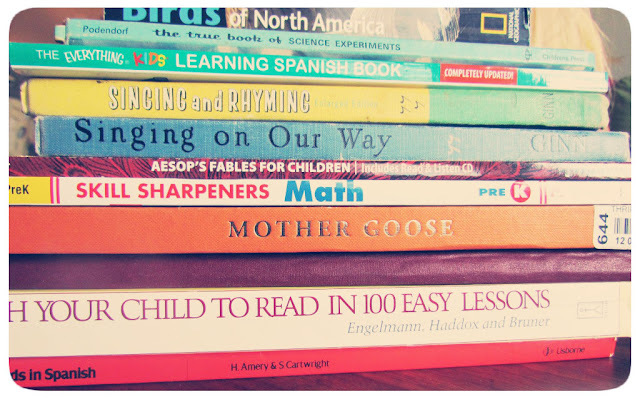 I love how this form of homeschooling really stresses the importance of reading, narration, literature, and handiskills (everyday skills such as folding, cleaning, building, ect.) The CM method is also a favorite of mine because it suggests to use texts where the person actually experienced the event instead of a standard text book which is...well let's just admit it, plain boring. 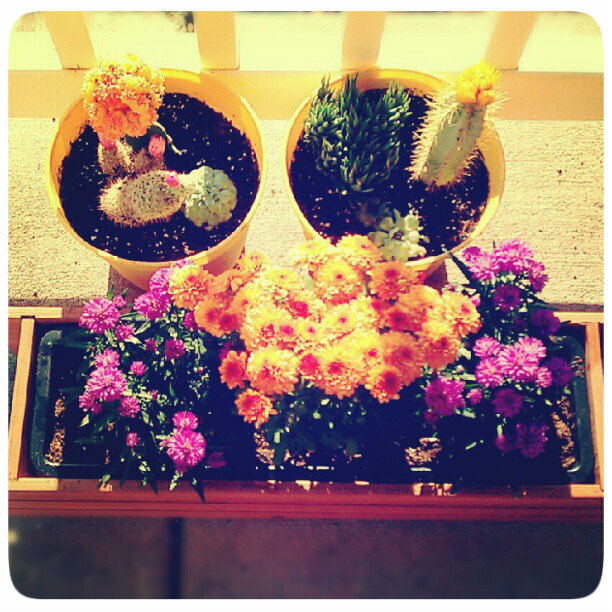 When we started homeschooling the first thing that Marli and I did was plant a garden. Gardening is an important skill for littles to learn, it provides to many opportunities to learn new things and bring up new curiosities. Every day we take time away from the books to water the plants and inspect them for bugs that we can talk about. 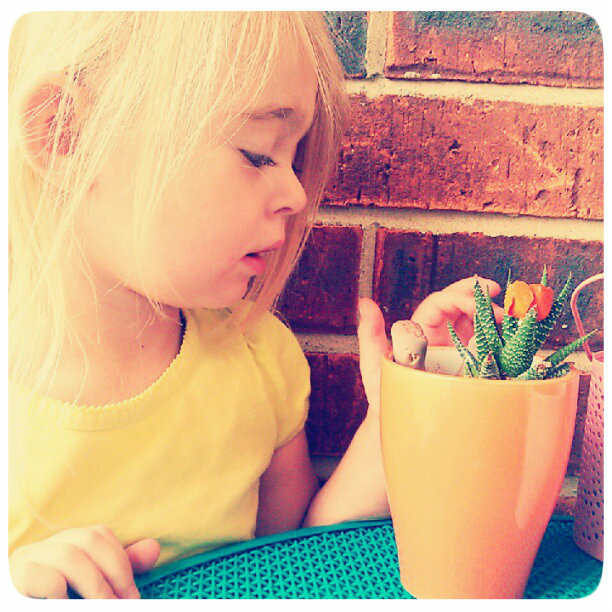 Marli loves to see what kind of bugs call her garden home and of course she loves to water the flowers! I cant wait to have a back yard so we can have a veggie garden and grow our own produce. I focus a lot of time during the day on creating whether it be drawing, painting, crafting, ect. Since Marli can't write out words yet a lot of our narration activities are based on her drawing pictures of the different stories we read and things we learn about. Most of the time I can't really make out what the pictures are or what they mean but she tells me all about them and how they correspond with the story and I think that it is a super important activity for her to grow her communication and listening skills. Below is a picture of a red fox, learning about the animals of the field and the forest. I like to let Marli create using different mediums. 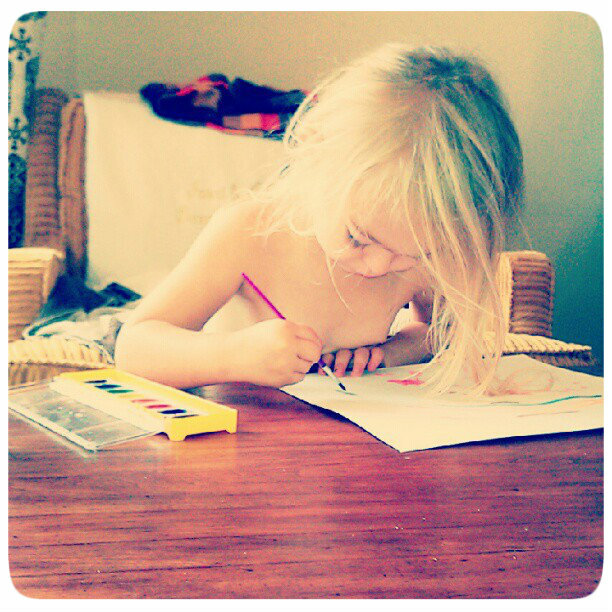 She especially loves watercolors and oil pastels right now. During our art studies we learn about a different artist each week. 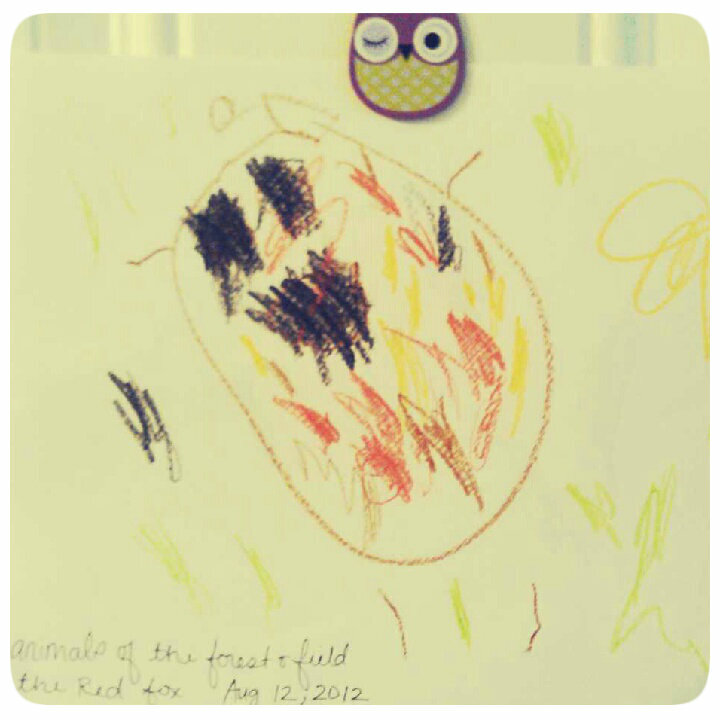 Marli examines a few pieces of art by the artist and she also colors her own version of one of their masterpieces. This helps her to better recognize each artists style and its just plain fun! Our biggest struggles have been with writing. Marli has known her alphabet for quite some time and she knows what each letter looks like, same with numbers. I thought it would be the right time to begin teaching her how to trace her numbers and letters so that she could start to write them on her own and I noticed that she was having a very hard time. Marli is a lefty so it's been quite a challenge for me (a righty) to teach her how to write since everything is opposite for her. Her struggle turns into frustration easily since she is so young, a lot of the time she wants to give up. Even though sometimes it's almost more frustrating for me as an adult (because I want so badly for her to get it) I know that she relies on my patience to get her through the rough patches and reassure her that she can do it and that nothing is 'too much' for her to handle if she gives her honest effort. I usually give her a break when the pressure has just become too much and come back to it when she is in a better state of mind. That usually does the trick and we are back to smooth sailing once again. I also focus a lot of time on exploring outside in the natural world. Marli has outside time every single day and on weekends we try to take "field trips" to natural parks around our area. We have nature journals where we are going to start recording our finds and documenting our adventures. At her age exploration is a huge part of the developmental process and it's great exercise too! Routine building exercises such as teeth brushing and bed making // Shape and letters flash cards // Skill Sharpeners Pre-K Math Activity book //Teach your Child to Read in 100 Easy Lessons // Free Read Period // Tea Party // Chores // Outside time. Spanish vocabulary and flash card game // Poetry and Shakespeare for children // Nursery Rhymes. Artist study // Composer of the week // Craft // History ( right now we are reading about good old honest Abe) // Science and nature journal // Literature (Aesop for children) // Outdoor field trip. It's been such a crazy roller coaster so far but things are finally settling in and our routine is becoming easier each day (though finding a free moment is few and far between). I can't wait to see where this journey will take us. If you have any questions about homeschooling, the curriculum, or anything else really feel free to ask! I'm not an expert that's for sure but I would happy to share everything I know with you! There will be many of these posts to come documenting how everything is going and all the things we learn along the way, if you want to keep up on our homeschooling adventure search the label homeschooling to read all about it. I love this post! It's really inspiring to me when people homeschool their kids. I really want to home school when I have children because I want to teach them about creativity and every day skills like gardening and cooking (when they're old enough). How did you make the decision to home school Marli? And what do you do to socialise her with other children? That would be my main worry I think. Thank you! Those where my biggest worries as well. I chose to homeschool because one, I stay at home with the kids all day, so why not just so preschool there right? Another reason had to do with the u.s education system right now which you probably have heard is quite poor. They are removing crazy things from education here like cursive writting and geography. Wth? Haha I also felt like a regular pre school would not fit marli's learning needs.Since she is super smart she gets bored easily and I didn't want her to feel held back because others aren't quite at her level. Those are just a few reasons. As for socializing, I live in an apartment as of now and we have about 12 families around us with children from Hunter's age to about 14, so we is around a lot of different kids each day. we also go to the park and an indoor gym/playground place so she can interact with kids she isn't familiar with. Soon we are going to start nature walks and playdates with other homeschoolers so she meets kids that have the same learning environment as her. Hello cutie! I've been catching up on your blog! Your house is very nice, I love the balls that you hang in your daughter's bedroom! jejejeej I've also seen that you like variety and red hair suits her very well! The issue of teaching their children at home seems very good and I think does not have to affect your child to be more sociable or not, in the U.S. and Brazil know several people who opt for this method and is doing very well here in Spain I think it is a widespread habit. I send a big hello! 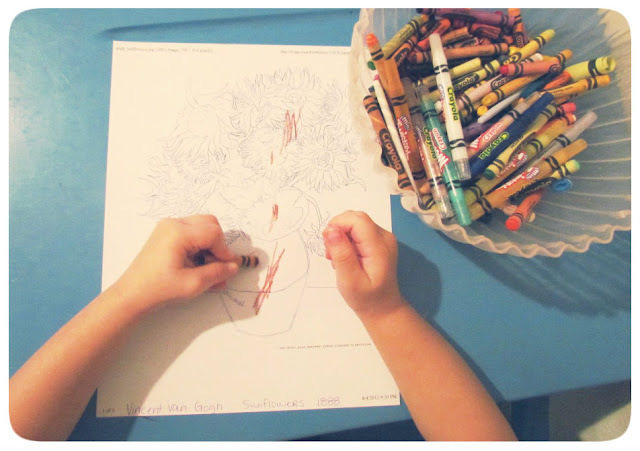 I really love the idea of homeschooling children because I feel like there are so many other important things (such as gardening and art) that children wouldn't otherwise learn. Thanks so much for writing this! We are determined to homeschool our munchkin as well and since she just turned 2, I am starting the research process. I actually read this post late last night on my phone and am back now to check out the links you posted. I have no idea where to start so I'm glad there are people like you who are willing to share their experiences. Looking forward to hearing more of your journey! That's awesome and I'm really glad that i could help you move in the right direction! I also used http://www.amblesideonline.org/ , you might want to check them out to help you build your curriculum. if you have any other questions feel free to ask or email me! Before we started this I didn't really have a set learning enviornment. We have always read lots of books and worked out letters and numbers and we would spend a lot of time at the park. When kids are so young you really just want to get them used to routines and let them learn through exploring and doing. what a cutie! in love with these photos! This is incredibly inspirational! I love the little environment you have set up and your overall philosophy. Your daughter looks like a very happy, sweet little girl and I think you are a fantastic mama!! This is awesome. I would like to home school my kid(s) someday when I have them. I think it would be fun. I love this! The huz and I have been talking about homeschooling our daughter but it is so overwhelming, I don't really know where to start. Thanks for this.